Welcome to Yate Osteopatic Practice. We are located within Courtside Surgery, Kennedy Way, Yate, Bristol BS37 4DQ. There is a free public car park near by. The practice aims to provide fast, effective, professional osteopathic treatment for all our patients, in a relaxed and friendly atmosphere. We are an accredited practice for some private medical insurance companies. Please contact us for more details. Amelia graduated from the British College of Osteopathic Medicine in 2004 gaining a Bachelor of Science (Honours) in Osteopathic Medicine and a Diploma in Naturopathy. Acupuncture, ultrasound and kinesiology taping are also used if appropriate. She is accredited by The General Osteopathic Council and is a member of the Institute of Osteopathy. 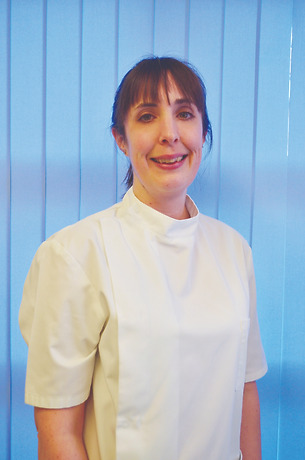 Amelia treats a wide range of joint and muscle aches and pains including back and neck pain, sciatica, arthritic pain, sports injuries and work related postural problems. Her work primarily targets the rapid relief of symptoms, whilst also aiming to minimise the possibility of recurrence by examining all aspects of each individual’s work and lifestyle. This helps her provide efficient treatment and sensible, sound advice to help speed the recovery of each patient. Amelia has a wide variety of interests and enjoys keeping fit and active by regularly participating in many different forms of exercise. She has completed two Tough Mudder challenges and hopes to conquer some more! Amelia Davies works primarily as an Osteopath, however, she does use the treatment modalities below to complement her osteopathy, as and where appropriate. The most widespread application of acupuncture is for pain relief, most commonly musculoskeletal pain and myofascial trigger point pain but also other forms of chronic pain such as neuralgia. It does this by by stimulating the nervous system. Treatment with western medical acupuncture follows when a conventional medical examination, appropriate investigations and diagnosis confirm that the symptoms are suitable for treatment with acupuncture. •	Short term relief of tension type headaches and migraine, and of temporomandibular (jaw) joint pain. •	General trigger points in muscles. Ultrasound uses sound waves to speed up the healing process. It is a minimally invasive treatment with rare side effects. Gel is used between the sound head of the ultrasound machine and the skin to help the sound waves enter your body which create the effect of deep heat in your muscles and joints. Usually no sensation of this heat effect will be felt by the patient. Kinesiology taping is extremely popular in the field of sports medicine. This brightly coloured tape is now a very common sight at all major sporting events and even at local recreational activities. It is a therapeutic taping technique not only offering athletes and patients the support they are looking for, but also enabling rehabilitation from their condition. Hence, the athlete/patient to remain active throughout their sport or even their day to day activities. It is generally safe for everyone ranging from the very young to the older generation and from the fit to the not so fit. •	Oedema control for flexors of the forearm – repetitive strain injury such as tennis or golfers elbow. Can you contribute to research to demonstrate that osteopathy works? This practice is taking part in a research project to demonstrate the effectiveness of osteopathy. The Patient Recorded Outcome Measures (PROMs) programme aims to add to the evidence that osteopathy works, as well as helping to guide the further development of osteopathic treatment. We are asking patients to provide anonymous feedback during treatment to measure how succesful this has been. It is part of an initative being coordinated across the UK by the National Council for Osteopathic Reasearch and all the data will be managed confidentially directly by them. Our patients tell us every day of the wonderful things that osteopathy has done for them, helping them to live life to the fullest, healthiest lives and overcoming conditions where other treatments fail. We want to spread the word and help ensure that many more people benefit from osteopathic treatment and your help with this research would provide further valuable evidence to help us to achieve this. Speak to us if you are interested in supporting this important project and we will give you your unique enrolling code which you will need to have in order to participate. Once you have the code, click on the link below and follow the instructions.